Personalized hand crafted bottle opener by Drink Local. Crafted for the lovely state of Montana, with a personalized message that was requested by a customer. 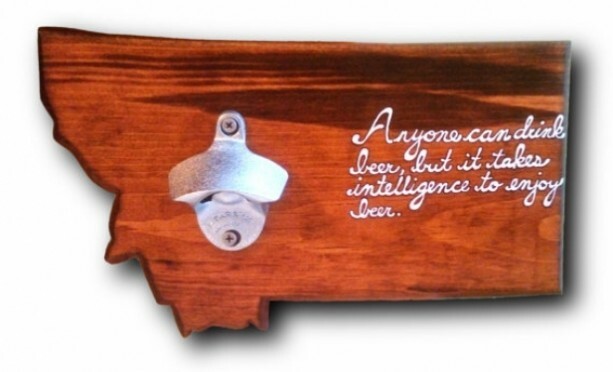 This item is perfect for your own bar, bachelor pad, or to personalize any location with your love for great local beer. Because lets face it, good beer doesn't have a twist off top. Personalize your own, just let me know!